Rugroden Drafting & Design - See what a few of Rugroden Drafting & Design's customers have to say about their experience! Rugroden Drafting & Design's customers have to say about their experience! In 2000, my husband and I moved into a charming 1500 square foot house on La Crosse’s historic Cass Street . Not long after the birth of our second child in 2003, it was obvious to me that we were rapidly outgrowing our space. It was then that I began “shopping” for my dream home at the local bookstore – in magazines with stock house plans. A short time later, we purchased a beautiful ½ acre lot within the city… my dream was soon to become a reality. I continued to peruse an endless number of stock plans, none of which offered the combination of amenities and floor plan I desired. 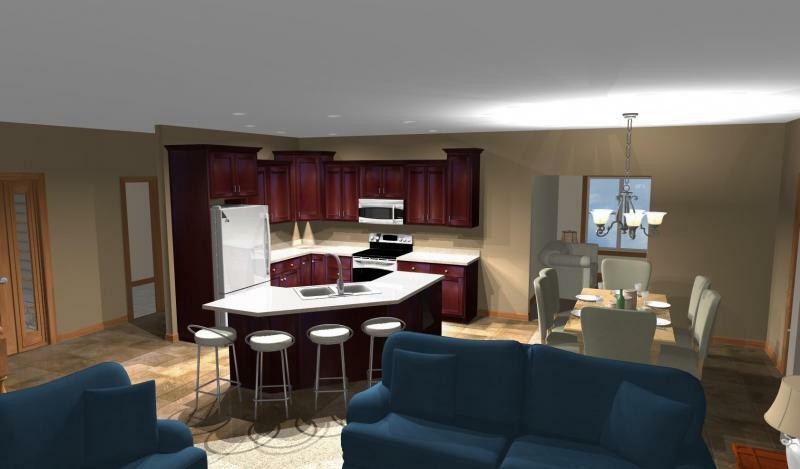 The individual who was to become our general contractor, suggested we meet with Ryan Rugroden of Rugroden Drafting and Design indicating that Ryan is one of the few, if not the only, architectural draftsmen in the area utilizing CAD with three dimensional capabilities. 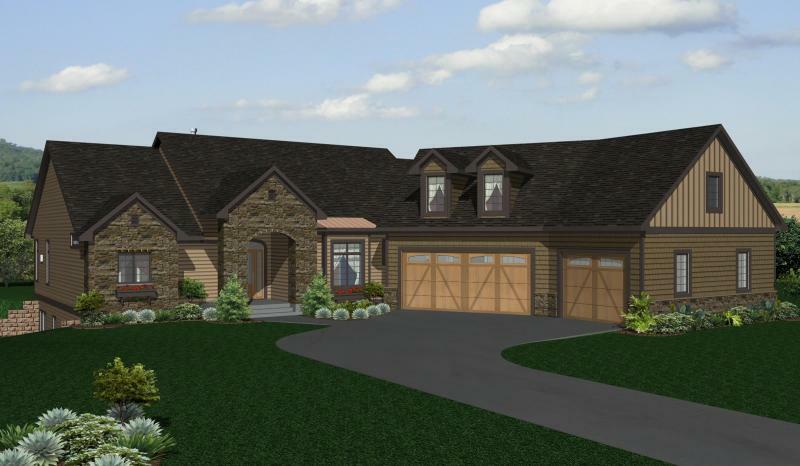 Not only did he come highly recommended by our contractor due to the detail offered by computer assisted design, my husband and I would be able to “see” our new home before it was built – including interior and exterior colors and landscaping. The value of Ryan’s 3-D walk through cannot be overestimated! The ability to visualize our new home before being built has allowed us to make changes prior to the onset of building and helping us avoid costly change orders. With Ryan’s expertise in architectural drafting and software applications, we are confident that we will soon have the home we want on a budget we can afford. Just thought I would let you know that we moved into our new house in November and we absolutely LOVE it! The layout, dormers, everything is just how we wanted it. Thank you so much for helping us design our dream home!! If you are ever in the area and would like to stop in to see how it turned out, you are more than welcome to. Eight gables, seven stained glass insets, 51 windows, and seven bedrooms later, the house is certainly big, beautiful, and it looks old. 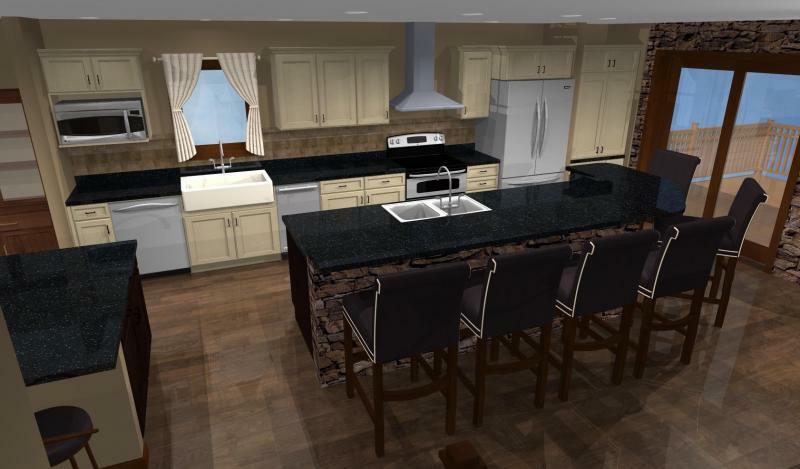 Working with Ryan at Rugroden Drafting & Design we were able to visualize the house throughout the house design development. Walking through a 3D illustration of the interior provided us unbelievable insight during the decision-making process. We were able to make highly informed choices; starting with the house/lot placement, the front elevation, room flow, and the interior details, all the way through to using Ryan’s system to scan the actual cedar and siding colors to create the exterior color scheme. The sophistication of Ryan’s computerized 3D system lent an exactness to very expensive decision-making. When my husband and I were looking to build, our contractor suggested we go to Rugroden Drafting and Design to get our plans drawn up. 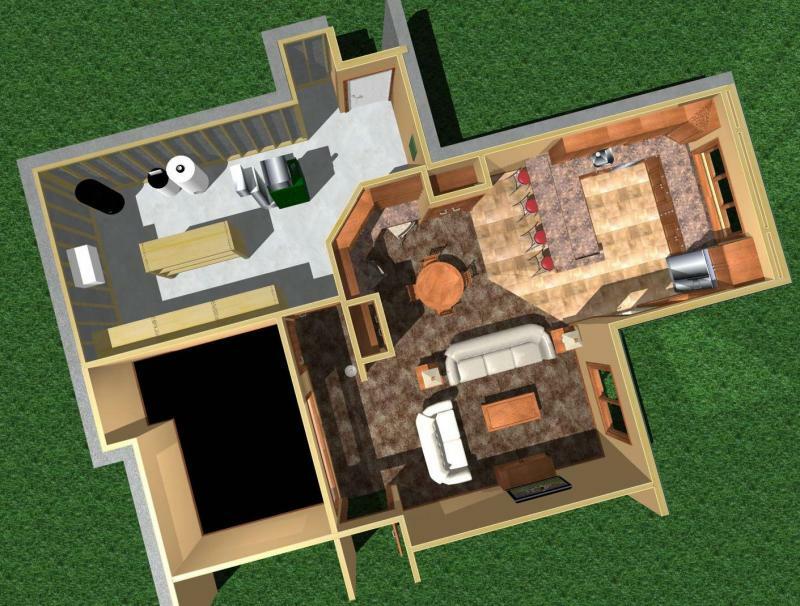 He had mentioned that Ryan would draft the plans and then would put them on the computer so that we could do a virtual walk through to see what our house would look like in 3D. I had never heard of this being done before and we were told not many architects/draftsman do this. Since I am a visual person, it was exciting to think that we would be able to see our home in 3D before we started building. When we met with Ryan to do our walk through, it was extremely beneficial to us to see how our home was going to look and how everything flowed with our floor plan. Being able to see this before we start building would allow us to discover some things we may not have liked and change them before the building started. For instance, we were unsure of the size and number of windows we wanted in the living room. 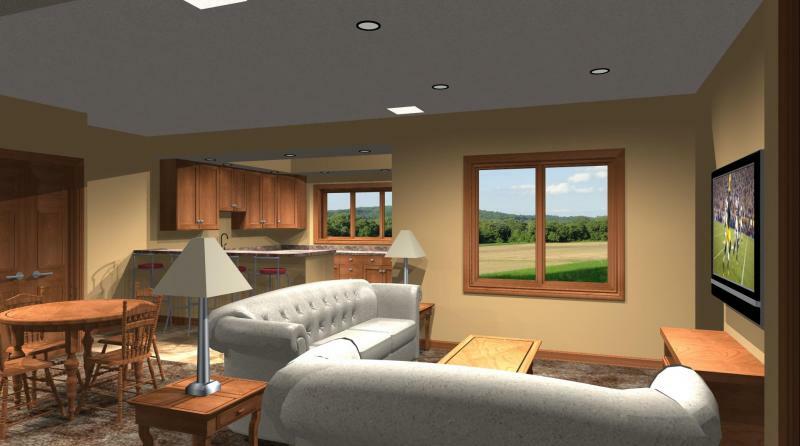 With the software, Ryan was able to switch the sizes and location of the windows in the room and let us decide from that which scenario we preferred. Finding these things prior to building should help cut back on unexpected increases in cost and time that may have happened had we changed them during construction. Overall, by being able to see the home through the 3D walk through, it has taken out some of the stress that I feel we would have experienced if we had not been able to see it in 3D before we had it built. 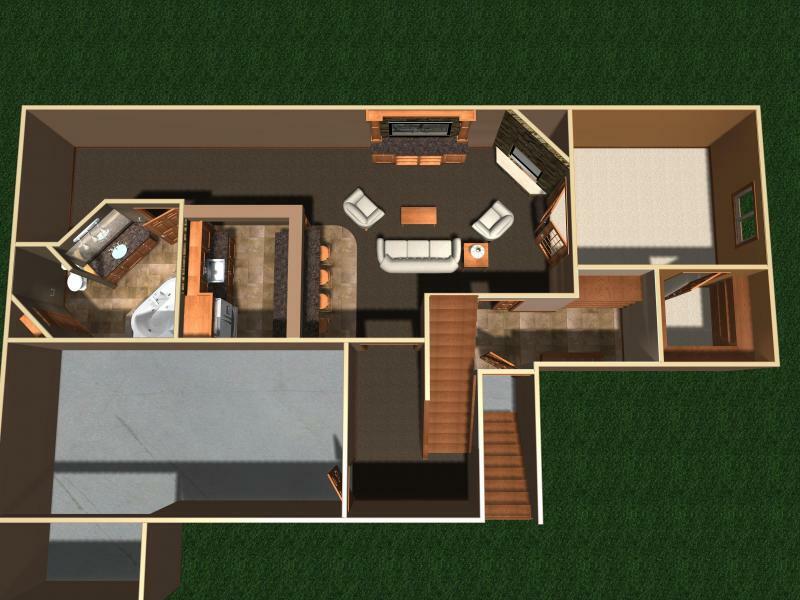 After going back and forth with another home drafter for nearly a year, working with Rugroden Drafting & Design and seeing our home come to life on your computer was truly a breath of fresh air. We had resigned ourselves to the fact that we may have to just take a leap of faith that what we had come up with on basic blue prints would turn out how we wanted until we met you. Because you were able to put our house on the computer and allow us to seemingly walk through doorways and move around rooms, we can move forward with our home-building dreams confident that what we are building is exactly what we want. There is no guess work or crossing of fingers necessary on our part because of the technology you shared with us. Thank you for your work for us this past year plus. What you did was design and draft our ideas and dreams into a functional and most attractive house plan. One we intend to turn into a home. At every stage you exhibited expertise and knowledge coupled with a keen and gifted professional manner in crafting and finely tuning the plans - all the while taking care to listen to and keep the integrity of our wishes at the forefront. Everytime we departed after a meeting or ended a phone call we did so with happy anticipation at the progress on "our home". We are just about ready to move into our brand-new home. We are absolutely thrilled with the way everything turned out. The planning started about three years ago and Ryan was there with us each step of the way. Thank you so much Ryan for just a beautiful design for our home and what an absolute pleasure you were to work with thank you so much. 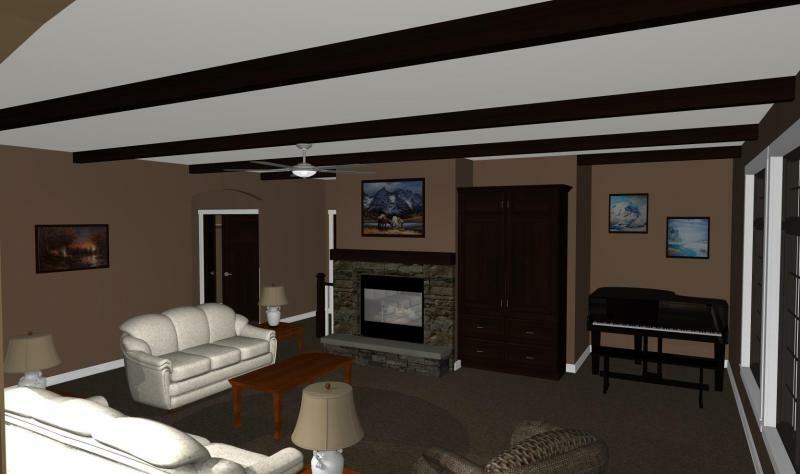 See what finishing your Lower Level will look like before any construction starts! Thinking of remodeling or adding on? See what it will look like before and demolition or construction is started! Are you a past customer of Rugroden Drafting & Design? If so, we would love to hear from you! Please feel free to email your comments to us using this link. At Rugroden Drafting & Design, we take pride in our work and in producing a superior product for an affordable price. There is no better feeling than seeing our customers happy with their design and with the effort we put forth. Call us today to get started on the path to creating, visualizing, and animating your dreams!